Owners of period property can often find it difficult to enjoy all the original features of their home and keep it warm and energy efficient. Whether you have a Georgian property with traditional large panel sash windows, an early modern 1930’s home with casement windows, or anything in between, you’ll agree that the windows are a fundamental aesthetic of both the interior and exterior of your home. Along with the desire to retain these characterful features, you may also have a responsibility to do so if you live in a listed building or conservation area. Properties that fall into these categories are protected by strict guidelines, upheld by local authorities, forbidding alterations that may compromise their cultural and historical integrity. This can make it difficult to carry out improvements to your home, even essential ones like insulation and energy efficiency measures. Heritage windows are a likely culprit of deterioration. Timber frames, single glazing and exposure to the elements, for hundreds of years in the case of Georgian and Victorian builds, mean rot, draughts and noise can all be common problems in older properties. Whilst there are temporary measures period property owners can try such as installing shutters and draught excluders, these aren’t long-term solutions to insulating heritage windows. At yoursashwindows.com we specialise in the restoration, renovation and replacement of period windows. Where we can, we will keep your existing frames, painstakingly refurbishing them to withstand modern life. 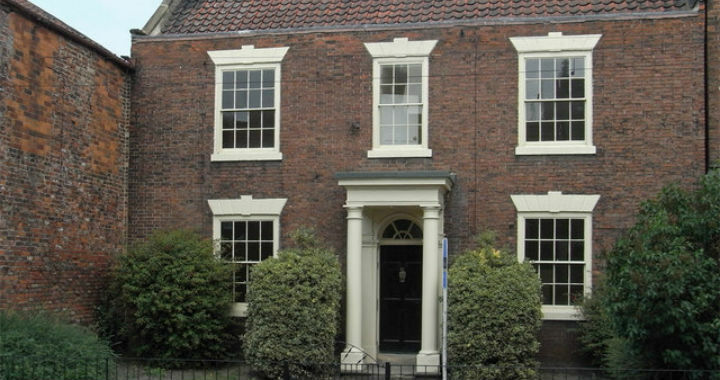 In many instances, we can fit your original frames with double glazing to improve insulation, and even use a specialist glass that looks like single glazing, which can often satisfy planning regulations of Grade II listed buildings. Where necessary we will replace your heritage frames. We can do this one of two ways; by carefully profile matching the new frames with the old ones and creating exact replicas of the original windows ensuring period detailing is preserved; or we can create a totally new or bespoke frame, still in-keeping with the look, era and character of your property, again to meet conservation regulations. We care about heritage and we care about energy efficiency and keeping you and your family warm. Our craftsmanship, knowledge of materials and high standards mean we’ll leave you with high performing windows that stand up to the demands of a modern home to be well insulated, energy efficient and noise proof. For help insulating heritage windows on your period property choose yoursashwindows.com. Call 0333 6000 196 or email enquiry@yoursashwindows.com/leeds with your requirements. yoursashwindows.com/leeds Ltd is an Appointed Representative and provides a pure client Introduction through Improveasy Ltd., a company registered in England and Wales (Co. Reg. number 7807352). Registered Office: Manchester Business Park, 3000 Aviator Way, Manchester M22 5TG. The firm is authorised and regulated by the Financial Conduct Authority (FRN 708623). The firm is authorised as a Lender (limited only to green deal finance plans). It also acts as a Broker, not a Lender, and offers credit facilities from a panel/one lender. The credit is subject to application and status.